The church in Iran is on high alert after more than 150 Christians were detained in just a few weeks. In late-November, about 70 Christians were arrested near Karaj, Alborz province, while a further 30 arrests were made in Damavand and other parts of Tehran province. Most of those detained were released shortly afterwards. Further detentions were reported in December in the north, northeast and southwest of Iran. Please pray that Iranian Christians will stand firm in their faith. A couple in Mashhad in northeast Iran – Amir Taleipour and his wife, Mahnaz Harati – were arrested in front of their seven-year-old daughter on December 6. Four days earlier, two sisters, Shima and Shokoofeh Zanganeh, were arrested in their homes in Ahvaz. 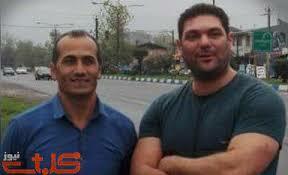 They were reportedly beaten by security officials who interrogated them then transferred them to Sepidar Prison. Each time their family have tried to pay the sisters’ bail, they have been turned away. Radio Farda quotes the Iranian state-run news agency Tasnim as saying that nine more Christians have been arrested in Alborz province, north of Tehran, since Christmas. Pray for peace for those Christians who were arrested, and for the swift release of those who are still in detention. Ask God to fill them and their families with His peace, and remind them of His promise to protect them (2 Thessalonians 3:3). Thank God that the church in Iran is reportedly growing. Some analysts interpret the recent crackdown as an attempt to intimidate people interested in Christianity. Pray that many more in Iran will start to explore the Christian faith and come to know Jesus. Pray for their protection and release, their witness and for strength and courage for all Christians imprisoned in Iran.